Q. Where can I find information about research design in the Walden Library? A great place to find information about research design in the Walden Library is the SAGE Research Methods Online database. 1. On the Library homepage, click on Databases A-Z in the center of the page. 2. This will take you to a page with options to view the databases in the Library. Click on the letter S.
Tip: you can also use the dropdown boxes to filter by Subject or Type of database. 3. Click on SAGE Research Methods Online. 4. You'll be prompted to log in with your myWalden Portal user name and password, if you haven't done so already. 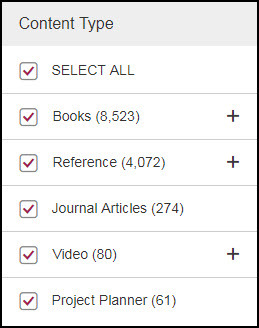 There are options on the right side to limit to only books, videos, journals, etc. Tip: You can also search our Books collection for other books about research design.